Micro Switches that we offer are environmentally/hermetically sealed. We make available Micro Switches of different types such as large, miniature and subminiature switches. These switches are compact and find extensive usage in potential applications including aerospace, HVAC, instrumentation, office equipment, medical/dental, valves and vending machines. 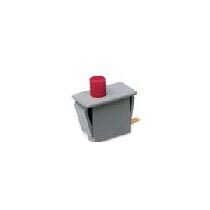 When it comes to delivery, we make all arrangements for quick shipment of Micro Switches. Obtain from us, these switches at the most reasonable prices.